Reliable, dependable and practical the BMX is a cool kids snow boot. The strong quilted nylon outer shell helps resist the snow whilst the fleece lining and aluminium film innersole keeps the warmth in. The full front zip opening with gusset keeps snow and debris out and helps aid fitting. 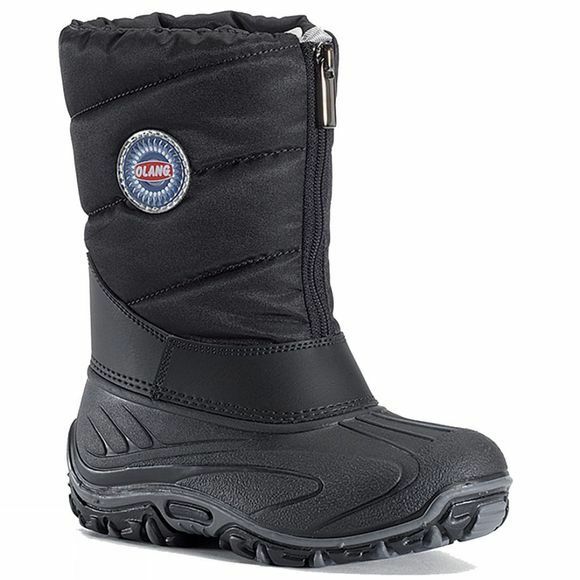 The sole unit will help keep kids on their feet during the winter months with a durable, high grip, anti slip base.